For meeting and event planners, finding the perfect place to host an event can be challenging. 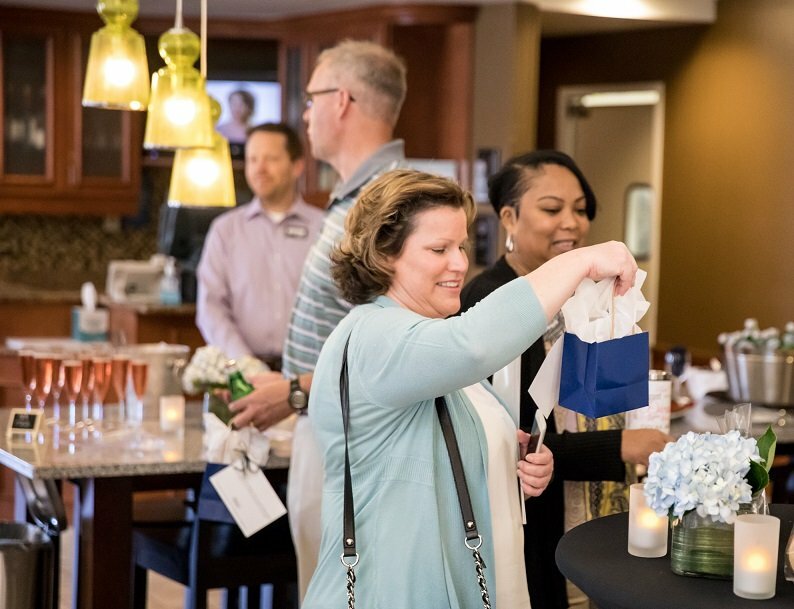 The business development team at Minneapolis Northwest strives to ease that challenge by connecting planners with the exact hotels and venues that are right for their needs. 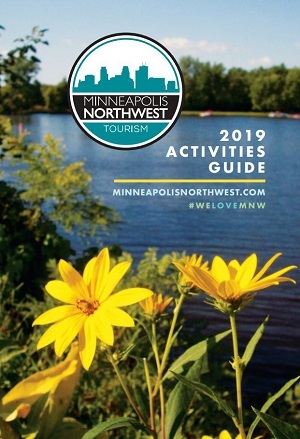 Part of making these connections includes hosting a yearly FAM (familiarization) Tour that introduces planners to the exciting Minneapolis Northwest area. 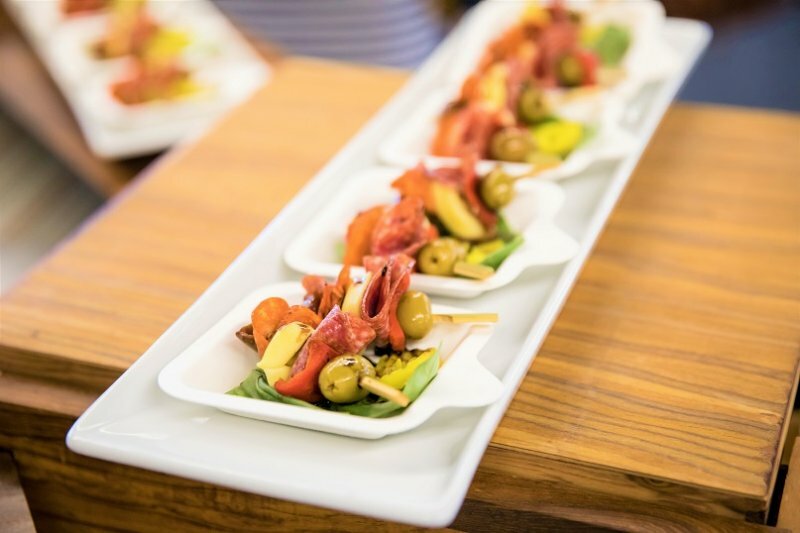 Through this year’s Taste of MNW Tour, meeting and event planners got a close-up, first-hand look, taste and feel for the venues and amenities in Brooklyn Center, Brooklyn Park and Maple Grove. Just as businesses are encouraged to think outside the box, the FAM Tour encourages planners to think outside the big city and consider the myriad of ways an area like Minneapolis Northwest can be the destination they’re looking for. Being in a venue, tasting the food and feeling the ambiance gives them the experience and inspiration needed to make the best event decisions possible. Our Taste of MNW Tour day kicked off May 4, 2018, with ten planned stops, and a convenient and very comfortable shuttle bus transporting the group throughout day, giving participants opportunities to get to know one another. By the end of the day, many new connections, even friendships, were made! 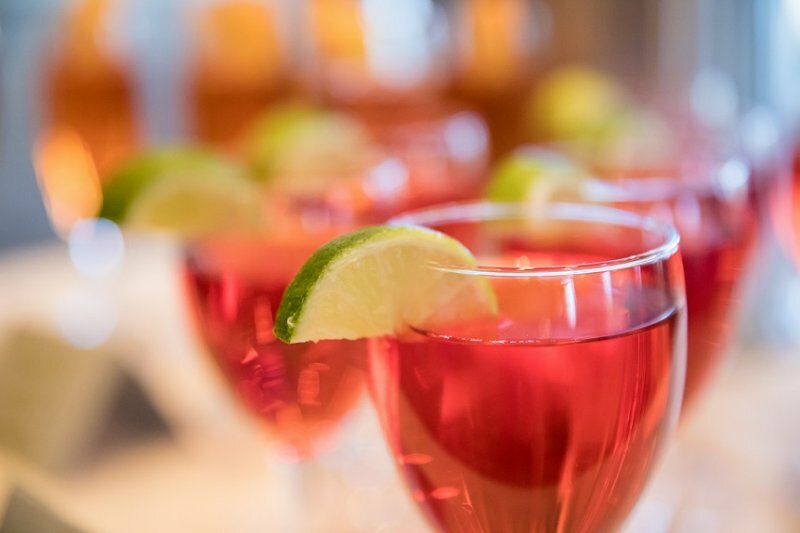 The group convened at the Hilton Garden Inn – Maple Grove where they were treated to a tour and strawberry basil skewers, non-alcoholic sparkling rosé and the hotel’s newest creation, Dragon Fire Pizza. 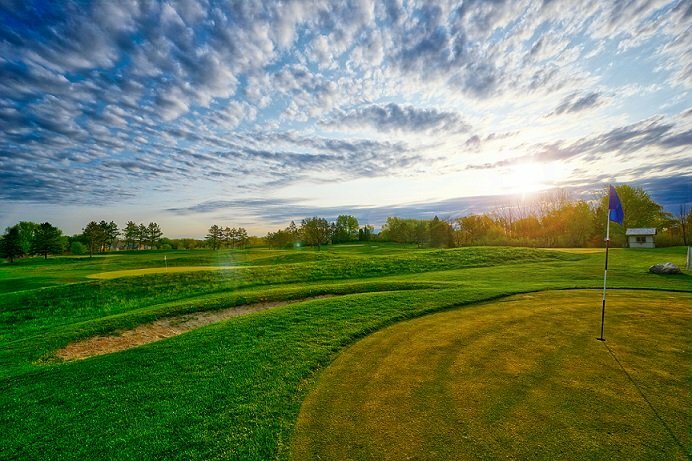 It was fitting that Rush Creek Golf Club in Maple Grove was the second tour stop as it happened to coincide with the golf season opener. Everyone basked in the spring sunshine on the club’s gorgeous stone patio and looked out at the beautiful course with its horizon of trees, greens and bunkers. The mini menu at Rush Creek included an Aperol Sprite, Cranberry Juice Spritzer, White Bean Hummus with fresh veggies and pita triangles, and hamburger bites – tiny burgers with bacon served on sliced zucchini with a green olive on top. If you’re in need of golf advice, or tournament and etiquette tips, Jenny Stendahl, Golf Operations Manager at Rush Creek, is the resource for you. The next hotel property on the schedule was Cambria Suites, which also featured a tour and a delicious selection of chicken wings, meatballs and chips. Despite the early food samples, everyone was eager for lunch at the Elm Creek Chalet, which catered in a home-cooked meal from the Lookout Bar & Grill, highlighting the restaurant’s best comfort foods – fried chicken, roast beef, herb-roasted red-skin potatoes, corn, baked beans and rolls. 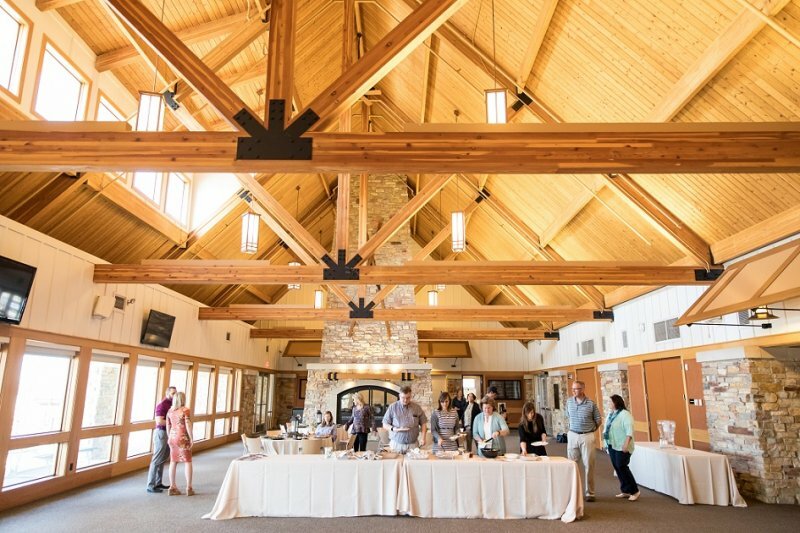 Guests flowed through a seamless buffet line and relaxed in the attractive chalet space beneath wood beams and a vaulted ceiling, while staff at Three Rivers Park District presented activity options available for groups at Elm Creek Park Reserve, such as conquering a ropes or disc golf course. Then it was off to the stunning Mississippi Gardens in Brooklyn Park. Owned by former-NHL hockey player Jordan Leopold and his wife Jamie, this premier venue rests along the Mississippi River on nearly five acres of riverfront scenery. The warm and cloudless afternoon provided a picture-perfect opportunity to explore the 2,706-square foot deck and enjoy the Buffalo Chicken Meatballs and Bleu Cheese Coleslaw that were served. Guests were also able to meet the owners and see firsthand that Jordan and Jamie are a very hands-on team and love working with groups. They also learned how the space can be ideal for corporate events, professional lunches and training sessions. Read more about Jamie Leopold’s vision for Mississippi Gardens here. After the serenity of being on the river, the afternoon launched into high gear with a visit to MB2 Raceway. The group received a tour of the facility and different event rooms available, and then was split into two teams for racing around the track. While folks started a little hesitantly, after a lap or two they really put the pedal to the metal. 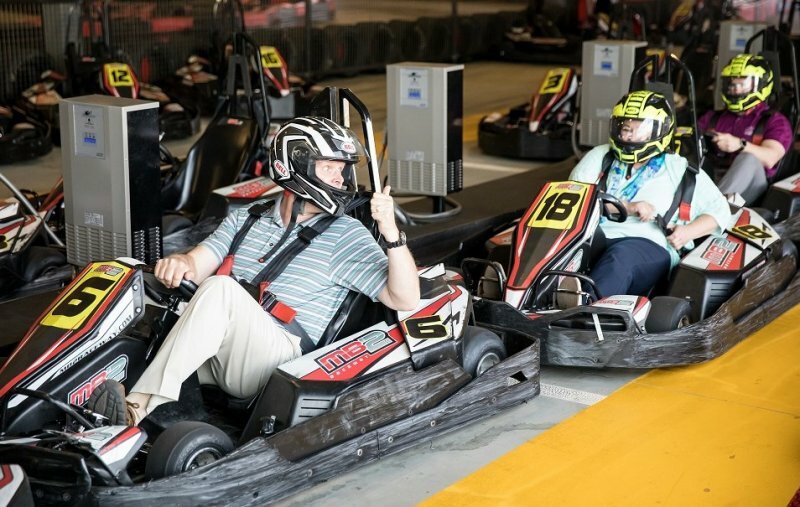 While finding information about MB2 Raceway online can be easy enough, the racing itself needs to be experienced to illustrate what a fun team-building activity or group outing kart racing can be. Once everyone had a chance to unleash their inner speed demon, the shuttle made a stop at Earle Brown Heritage Center and Embassy Suites Minneapolis-North, both in Brooklyn Center. The historic, charming and rustic ambiance of Earle Brown contrasts nicely with the sleek and modern Embassy. It also demonstrates for planners how easy it is to book an event at Earle Brown and lodging at the Embassy, as the two properties are close to each other and share an indoor walkway. Earle Brown’s savory antipasto skewer hors d’oeuvres and cucumber-infused water complemented the Embassy’s famous potato balls (deep-fried dollops of mashed potatoes! ), and lemon, strawberry and chocolate dessert shooters. Next was a tour of DoubleTree by Hilton, also in Brooklyn Center, located on the lovely Palmer Lake trail. 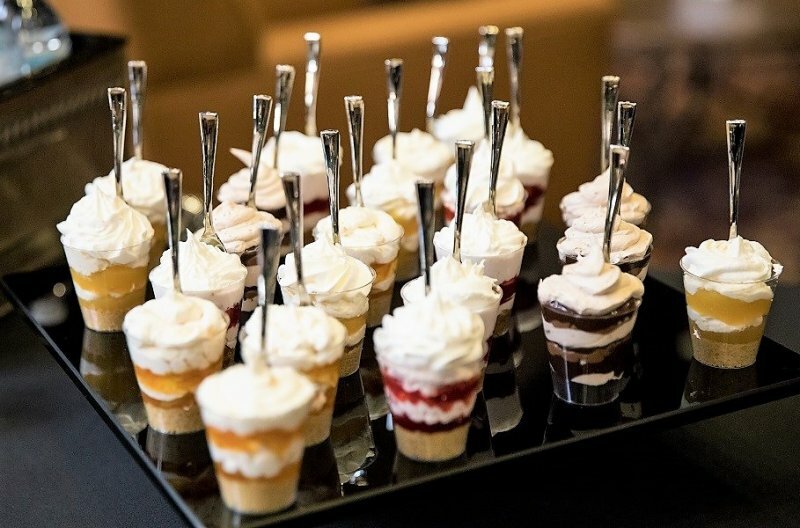 The group toured the hotel rooms and prime event spaces, which are playfully named after Minnesota Lakes, followed by another sampling break, this time with savory spinach and cheese pastries, bacon-wrapped apples and the DoubleTree’s famous chocolate chip cookies. Bonus tip: These delectable cookies are a special DoubleTree recipe and are served warm upon check-in! The final stop on the Taste of MNW FAM Tour was the ever-impressive Minneapolis Marriott Northwest. Guests were wowed by the towering, elegant interior, large glass elevator, and vast event spaces and ballrooms. Happy hour was almost upon the group and everyone was happy to sit back with margaritas, mini tacos with Mexican chicken salad, mini lobster rolls, and roasted pork and plantains. 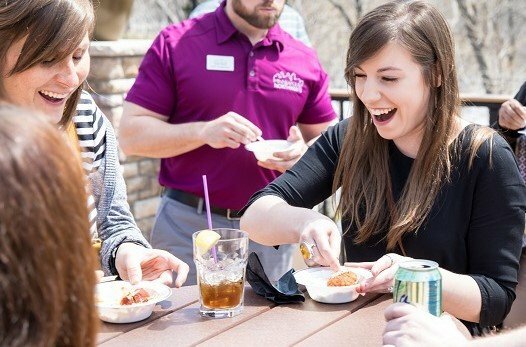 By the end of the tour, planners were saturated with food, drinks and valuable tips for why they should take advantage of Minneapolis Northwest Tourism’s assistance in their event-planning needs. We are a rich source of free information, ranging from a general resource about the area, to specific recommendations for venues, team-building outings, places to eat, “bleisure” activities and more. Planners should also look into the Minneapolis Northwest Event Assistance Fund, which helps offset the cost of having an event in one of our three cities. Use funds to help with room rates, transportation, food and more. If you’re interested in learning more about the venues in Minneapolis Northwest and how we can assist you, contact our business development team, led by Director of Business Development, Megan Diaz. Also, contact the team if you’re interested in attending the 2019 FAM Tour, as it promises to be another action-packed day with many fun stops and opportunities for quality networking, tasty food and refreshing drinks. 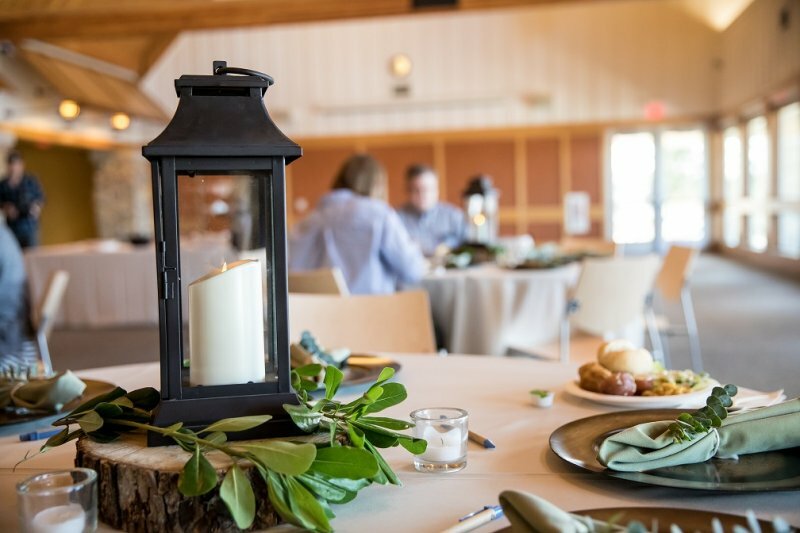 Aside from the area’s excellent hotels and venues, learn about the best private event rooms in Minneapolis Northwest for your next business meeting or special occasion. You can also explore our top team-building suggestions and take a look at our guide to creating the perfect “bleisure” trip the next time you’re traveling to Minneapolis Northwest. Finally, like and follow us on Facebook, Twitter and Instagram for the area’s latest happenings.